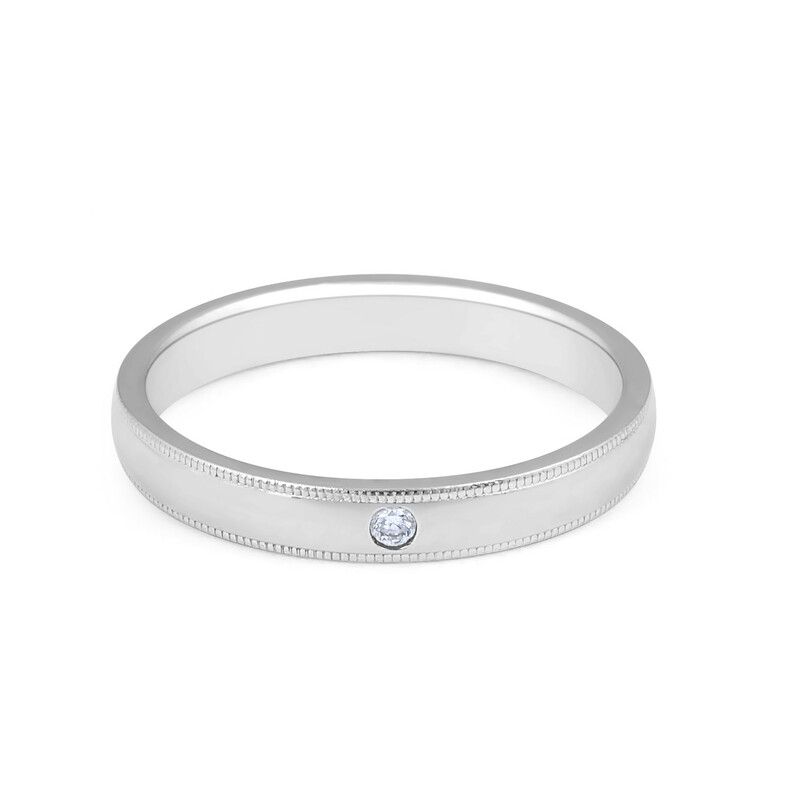 Platinum Solitaire Grain Edge Ladies Diamond Wedding Band. Modern classic design Platinum ladies diamond wedding band elegant set with a single solitaire diamond that is 0.02carat. 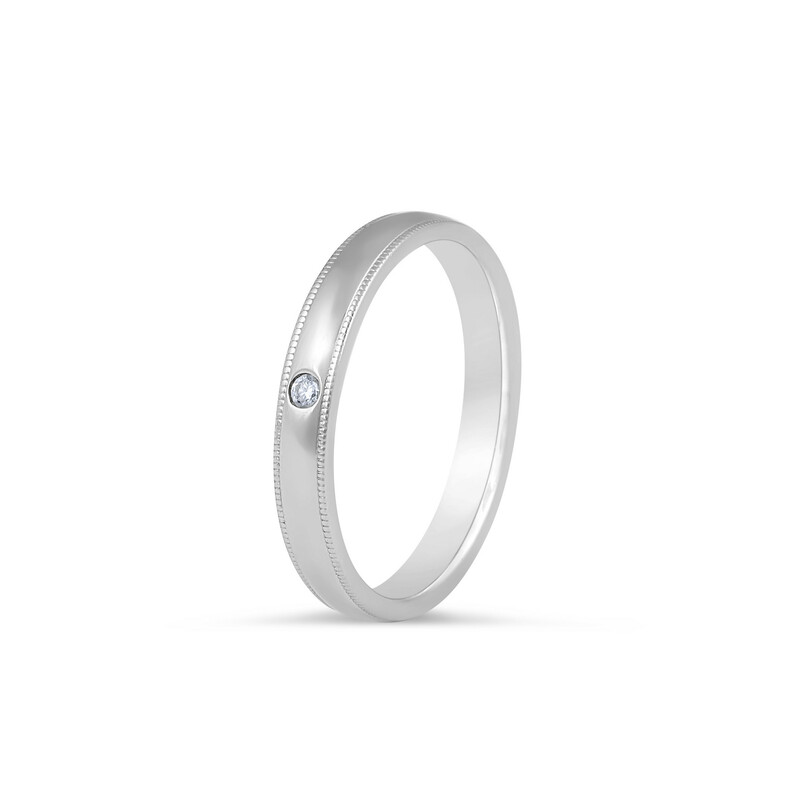 The 3 mm band is grain edged to give the ring a timeless and classic appeal! Platinum Solitaire, Grain edged, Diamond Wedding Band 1 Round Diamond: 0.02 Carat Gold Weight: Band Width: 3 MM. 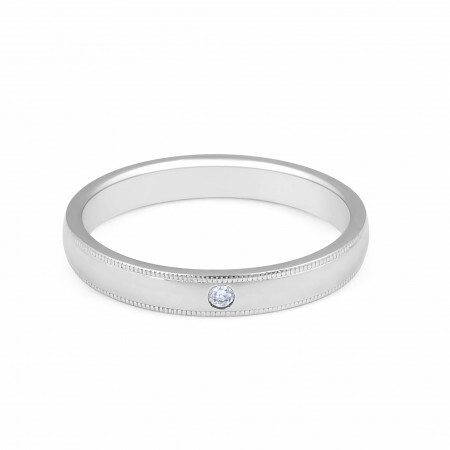 You're reviewing: Platinum Solitaire Grain Edge Ladies Diamond Wedding Band.